Katie joined the Myhorizon Early Intervention Team in January 2017 bringing with her a wealth of experience from the health and medical field. 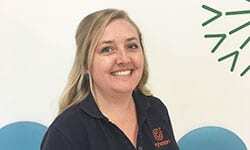 Katie is a qualified key worker, practice manager, Feldenkrais Therapy Assistant and also has qualifications in PEG training (percutaneous endoscopic gastrostomy feeding). Katie is passionate about watching children develop and reach their milestones and seeing the joy on their faces when they achieve their goals in a positive and supportive environment. 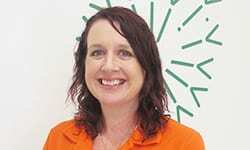 Her friendly and caring nature is demonstrated in her strong customer service approach, where she is loved by all. 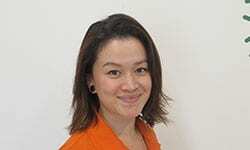 Naomi Kuek is a qualified Occupational Therapist with a passion for supporting people to overcome barriers to reach their potential and increase their quality of life. Naomi has a strong focus in an inclusive and collaborative therapy approach, working closely with families and other support networks, and believes in a holistic approach to build a strong foundation in all areas of therapy. Naomi is experienced in providing therapeutic supports for individuals with ASD, ADHD, Dyspraxia/ Developmental Coordination Disorder, toileting difficulties, handwriting, Sensory Processing Disorder, visual impairments, Down Syndrome, executive functioning difficulties, and general developmental and learning difficulties. Caitlyn Leese is a qualified Speech Pathologist having completed her Bachelor of Speech Pathology at Southern Cross University. Caitlyn enjoys all aspects of Speech Pathology but has a particular interest in supporting her clients with their swallowing and feeding goals, fluency, and both child and adult speech. Caitln loves working with people to improve their quality of life and believes every person is unique and their disability doesn’t define who they are. She is passionate about giving all her clients the ability to communicate, delivering programs and supports that are encouraging and fun. As a Speech Pathologist, Caitlyn says there is nothing better than seeing the looks on her clients’ faces and their family member’s faces, when they are able to communicate something that they never have before, and accomplish their goals. Our Early Intervention team are experienced in the area of NDIS funding and can work with you through your NDIS assessment and planning. Learn more about the Therapies and Supports our team can provide to you and your child. To make an appointment with our Early Intervention team, or to simply discuss your options, call us on 07 3824 7007, or leave an email enquiry for us using the contact form on this website.